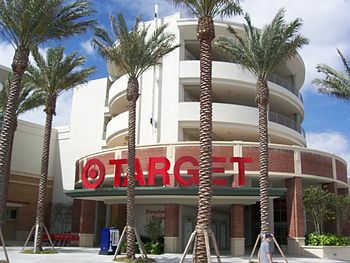 Target Corporation store in Miami. It should be obvious by now that Target has no intention of changing an LGBT policy that AFA does not like. American Family Association has sent out an email: Stay 'Off Target' for Summer Shopping. Target, by the way, reported a small earnings miss this morning. However, revenues beat estimates which means that AFA's silly two-year boycott is a dismal failure. A boycott is an economic lever. The objective of a boycott is for the targeted company to change behavior or policy. AFA wants Target to stop allowing customers to use restrooms consistent with their gender identity. Target Corporation has basically told the mullahs at AFA to assume that impossible anatomical position. The boycott is, as I said, a dismal failure. 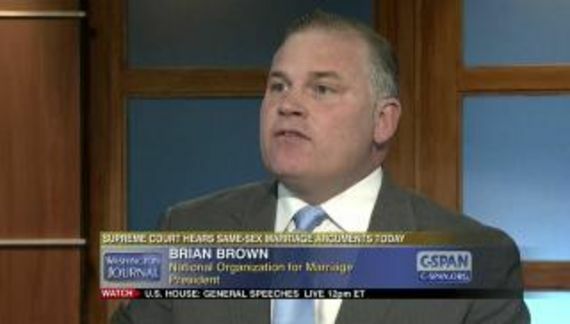 However, it is impossible to convince Hate Group Leader Tim Wildmon of the obvious. Last month, AFA marked two years of the highly successful and effective #BoycottTarget initiative, which has garnered the signatures of more than 1.5 million Americans who say they won't shop at the retailer until it makes restrooms and changing areas safe for everyone, including women and children. After a dismal downturn in revenue, stock prices and foot traffic over the past 24 months - and, more importantly, many traumatic and criminal incidents in Target restrooms - the retailer refuses to change the policy. Again, a boycott is not successful unless you get the company to do what you want them to do. The number of (non-binding) signatures is irrelevant. Target's facilities are perfectly safe and Tim is a liar. The stock has been doing just fine (it is off today because of the earnings miss). Foot traffic has been increasing as have revenues. More importantly there has not been one reported incident related to Target's policy. Not one. Target, like most retailers, has had some peeping Toms, most of whom have hit other stores in their area. Wildmon has been lying for two years. I thought that their book said something about “bearing false witness.” There must be an escape clause dealing with AFA and Target Corp.
Wildmon has consistently claimed that men will pretend to be transgender to gain access to women's bathrooms and then prey on them. That has never happened. As for transgender women, they just want to pee and go. They are no threat at all. I hate to be a cynic but the real reason for this boycott is to create a cause for donating money to AFA. They “know better” because these rubes wouldn't know a P&L from peanut butter. Moreover, he is expressing a contradiction in terms. If Target doesn't comply then the boycott is not powerful. This will never sink in. Maybe one of Tim's creepy children, perhaps Walker Wildmon, can make more sense. Millions of shoppers and thousands of families no longer spend their hard-earned money at Target. There is strength in numbers and this significant community is making a difference. This isn't like a product boycott or the old days of boycotting California grapes or lettuce. If Target has something that shoppers want at the right price then that pledge that they signed becomes meaningless. Obviously, AFA is not “making a difference.” I wonder if their constituency is really that dense or if Tim presumes that they are that stupid. Just as important… we remind shoppers to steer clear from shopping online at Target as well. Clicking through purchases may seem 'safer' than entering stores with dangerous bathroom policies, but shopping online still drives revenue to Target. It's clear that families who have chosen to shop elsewhere - both in-store and online - are making a huge difference. We need to remember that hate underlies all of this. AFA hates LGBT people which is why they are designated a hate group by Southern Poverty Law Center. They have been on the SPLC's list, first as purveyors of hate speech in 2005, and then as a hate group since 2010. The listing has caused considerable consternation on the part of AFA. Yet all they do is to confirm why they are listed as a hate group in the first place. How about some reparative therapy crackpottery? Thomasson: "Protect Natural Gender Counseling"